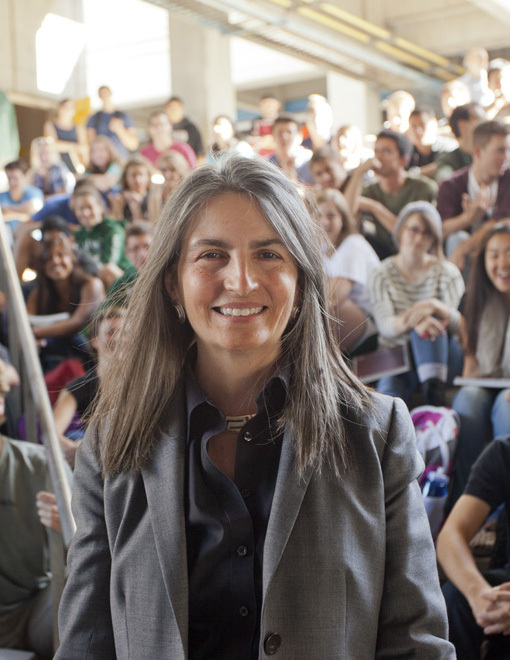 After teaching in schools of architecture in Texas, California and Oregon, Christine Theodoropoulos joined Cal Poly in 2012 as dean of the CAED where she stewards five nationally recognized accredited programs in city and regional planning, landscape architecture, architecture, architectural engineering and construction management. In collaboration with colleagues and inspired by students, she has led curricular innovations, launched new programs, supported research initiatives, and realized opportunities that have advanced the missions of schools of design and the quality of education that prepares students for careers. She consults for schools of architecture on curriculum development and accreditation, and has served on fifteen visiting teams for the NAAB (National Architectural Accrediting Board). She has been a member of governing boards for the NAAB, the ACSA (Association for Collegiate Schools of Architecture), the AIAS (American Institute of Architecture Students) and served as founding president of the BTES (Building Technology Educators’ Society). As an architect-engineer Christine explores ways to integrate architecture and engineering practice to improve earthquake-resistant design, address environmental implications of building design, and develop teaching materials that advance architects’ knowledge of structures. As an advisor on building stock data development that informs decisions made by state and local governments, and as an international delegate at post-earthquake planning exchanges with China, Taiwan and Japan, she advocates for design that creates safer, more resilient communities. She has mentored many students receiving national awards for research and design, including designs of sustainable buildings for sustainable cities, emergency shelters for disaster relief, post-earthquake reconstruction in Taiwan, bridges for a waterfront renewal district, and other structures.